I will send an updated invoice. F actory sealed NEW. All in One Video System. 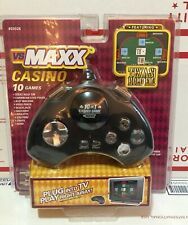 VS Maxx Plug & Play TV 10 Casino Games Texas Hold 'Em Craps Keno Black Jack -NEW. Condition is Brand New. Shipped with FREE USPS First Class Package. With six-player black jack and one-player video poker. Genre Card, Casino & Cards. Release Year Undefined. Location USA. 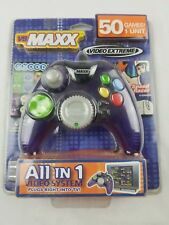 vs Maxx Video Extreme 50 Games All in 1 Video Game Hand Controller System - VGC! 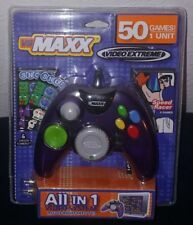 vs Maxx Video Extreme 50 Games All in 1 Video Game Hand Controller System - VGC!. Condition is Like New. Shipped with USPS First Class Package. And Batteries are not included in this sale. 8 Way Directional Pad & Joystick. Caribbean Stud Poker. Video Poker. Plugs into TV & Play Right Away! - requires TV and 4 AA batteries. Texas Hold 'Em. Black Jack. Item as pictured in photos. (Blackjack, Video Poker, Slot Machine, roulette, Texas Hold 'Em). Instruction manual included. Plug into any TV to play. Manufactured for "Senario LLC", McHenry, IL. Required 4 "AA" batteries, not included. Good used condition. Plug and play into your tv. Module requires 4 "AA" batteries which are not included. VS MAXX TEXAS HOLD 'EM 6 IN 1 CASINO GAME NEW SEALED Plug N TV. Condition is Brand New. Shipped with USPS First Class Package. 8 Way Directional Pad. 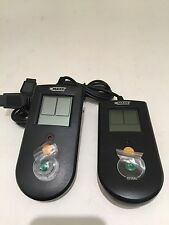 Turbo Fire Buttons. It looks Like it in very good shape. THIS IS FROM A LOCAL ESTATE OR FROM A STORAGE UNITS. This item is complete and in good working condition. MAXX242 VS JEFF SOTO BEARBRICK SET MEDICOM TOY ZACPAC. Condition is New. Shipped with USPS Priority Mail.